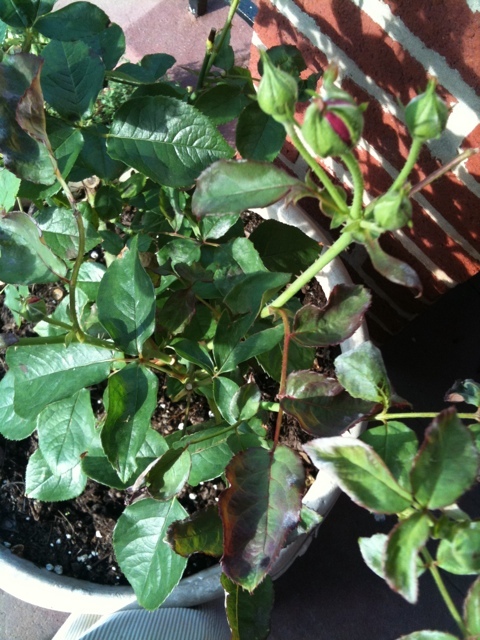 This in contrast is my rosebush of which I’m getting a little concerned because of how some of the leaves are curling slightly and have a little whitish look to them. My mulch neighbor suggested I may be overwatering it, maybe it needs more sun and this might be mildew. QUESTION: has anyone else witnessed this on their own roses? Is it mildew? Are there treatments other than giving it more sun, less water?